WOW! 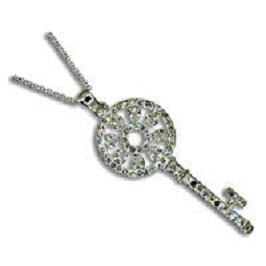 We love how a simple key can be so stunning in bling! This Tiffany inspired creation measures 1 x approx 3 inches, add your own chain of choice! Buy one for a friend, because she'll want yours!